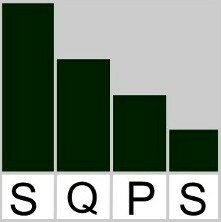 SQPS Ltd. offers various workshops in lean / continuous improvement, statistical techniques and management systems. In each workshop, SQPS will share our systematic and effective processes for eliminating waste in your organization, allowing you to perform at your highest quality potential. For more information on each workshop listed below, please refer to the corresponding flyers. Our workshops are available at any time and any place. In this 8-hour workshop, participants will learn how to systematically and effectively eliminate problems and establish countermeasures using the A3 model – similar to Toyota’s problem solving system. This 5-Step process will provide you with a roadmap to organize your facility (or department) and keep it organized. Imagine a workspace where the status of work is evident, anyone can quickly find what they are looking for. In this 8-hour workshop, you will learn what is meant by waste (Muda) with examples from different industries. You will also learn how to prepare a value stream map (current state & future state) using a case study. Historically, costs related to quality can be in the range of 20 to 40 percent of sales. In this 4-hour course, you will learn how to categorize and control quality costs. In this workshop, participants will learn how to conduct internal quality management system (QMS) audits using the process approach. In this 16-hour workshop, you will learn Statistical Process Control techniques that can help your processes become stable and predictable. Whether your goal is to eliminate chronic problems in your processes or you simply want optimize throughput, design of experiments will help you get there efficiently. In this 4-hour workshop, participants will learn how to conduct capability analysis and interpret results. The difference between machine and process capability will be explained with examples. In this 8-hour workshop, learn how plan, conduct, analyze and interpret gage repeatability and reproducibility studies (G R & R). Actual study is conducted in class. In this 4-hour course, you will learn the practical implications of the ISO 9001 requirements and a preview of changes coming with 2015 revision. You will also learn how to identify and measure process performance. In this 4-hour course, you will learn the history and background of ISO 14001 as well as the practical implications of the latest revision of ISO 14001 requirements. Identifying aspects, impacts, programs, and targets. In this 4-hour course, you will learn the history and background of ISO 16949 as well as the practical implications of the latest revision of ISO 16949 requirements. In this 4-hour course, you will learn the guidelines of product quality planning and the development of control plans commonly agreed upon by GM, Ford, Chrysler, as well as other automotive suppliers. In this 4-hour workshop, learn how to identify potential failure modes and effectively evaluate them and plan for action to prevent them from occurring.